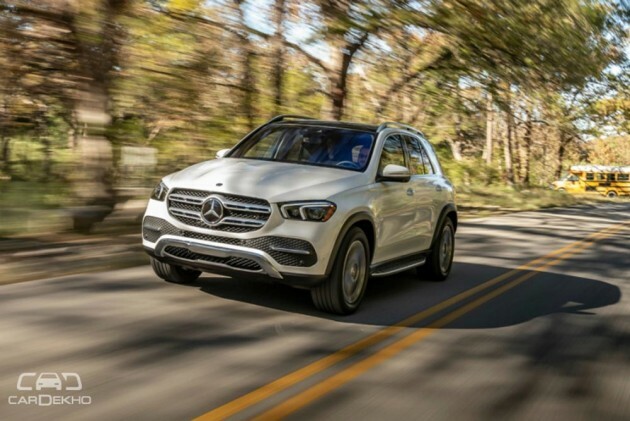 German luxury car manufacturer, Mercedes-Benz, revealed the new GLE SUV at the Paris Motor Show held in October 2018. Set to go on sale in the US in the first quarter of 2019, Mercedes-Benz India has now confirmed that the new GLE will be headed to Indian shores in 2019 itself. The new-gen GLE is longer, wider, taller and has a longer wheelbase than the older model and can also be had with seven seats, a first for the GLE. While the GLE’s exterior has been completely redesigned, its rear-end still reminds of the older model. As far as engines are concerned, Mercedes has revealed two new diesel engines that conform with BSVI specifications. One of them is a 2.0-litre turbocharged inline-four engine that produces 245PS and 500Nm of torque, which will be available underneath the bonnet of the GLE 300 d. The other engine is a 3.0-litre inline-six that churns out 330PS and 700Nm of torque and will be available on the GLE 400 d. We expect these engines to come to India as well. The current-gen GLE sold in India is also offered with a 3.0-litre V6 petrol engine. The new GLE also gets the same petrol unit, which is also available with a 48V electric system that features an integrated starter generator that can control electric functions of the car and even the turbocharger. We expect the new GLE to be offered with a petrol engine in India as well. Mercedes’ new MBUX infotainment system will also make an appearance in the new GLE. The ‘Energizing Coach’ function, which automatically fine tunes the seating posture and gives different types of massages, is also present in the new GLE. It also gets the company’s E-Active Body Control, which allows onboard computers to individually control each damper and spring. This not only restricts body roll, but also controls the pitch and squat of the SUV. It remains to be seen if these features make it to the Indian model as well. When it comes to India, the new GLE will go up against the Audi Q7 and BMW X5. Currently, the GLE sold in India is priced from Rs 67.15 lakh to Rs 1.02 crore (ex-showroom New Delhi). Expect the new car to be offered in a similar price bracket.